Features: 1. fully automatic pressure and decompression. 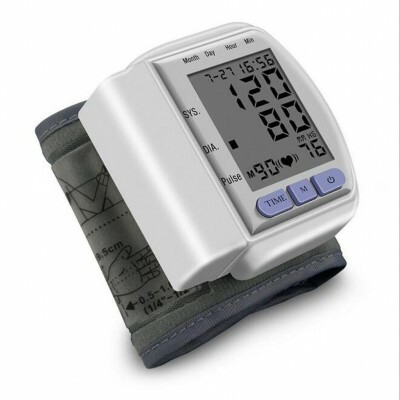 2. can measure systolic blood pressure, diastolic blood pressure, and pulse. 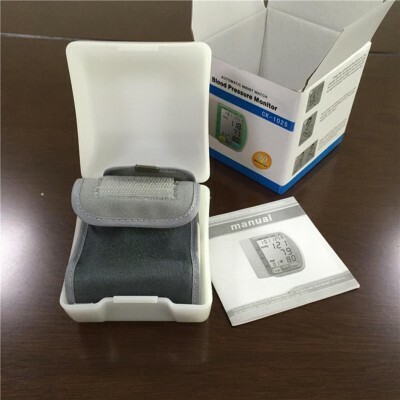 3. with automatic memory function, high-capacity memory. 4. with the automatic power-off device. 5. large digital LCD screen. 6. easy to operate, just press the button to test. 7. 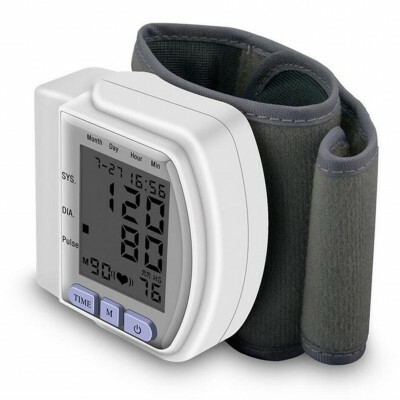 Optional mmHg-(or kPa)-blood pressure measurement unit. 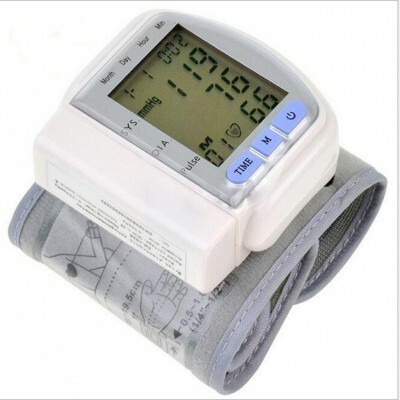 Product Description:- Integrated design and LCD display: sphygmomanometer data display and wristbands in one. An intelligent digital LCD display to help you easily read the measurement data, date and time. 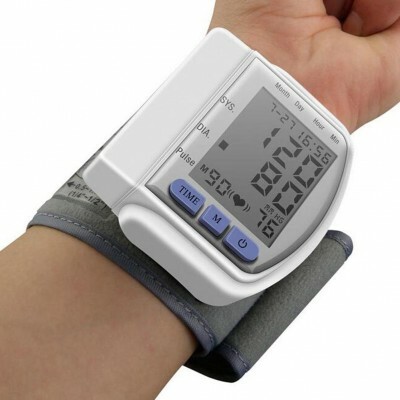 60 groups of memory, it can store historical data to help you record and monitor changes in blood pressure, 3 minutes automatically shut down. Systolic-(high), diastolic-(low), pulse, fully automatic-(pressurized)-and deflated-(depressurized)-are measured rapidly using fuzzy theory and high accuracy. 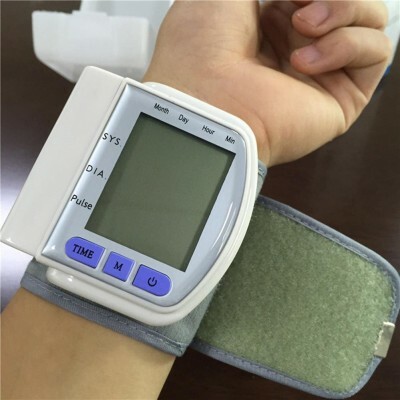 - Wrist design portable, easy to use, small size, innovative design: easy to use for adults, young people and the elderly. - It is portable and you can use it anywhere. 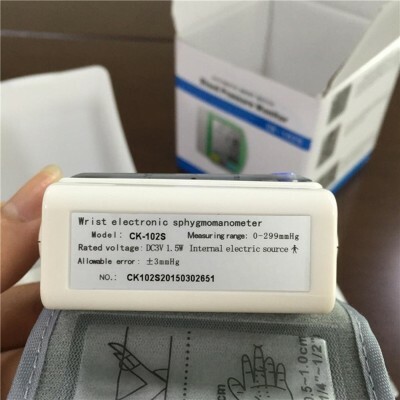 Product Size : about-148 * 132 * 55mm. Color box size : 170 * 66 * 220mm. Power supply : 2 * AAA battery-(not included). Pressure accuracy : ± 3-(mmHg). Applicable working temperature : + 5- +40. Exhaust: automatic rapid exhaust method. 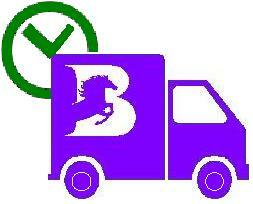 - Note: 100% Genuine & High-Quality Product.